In this era of global warming, the assertion that nuclear power is “carbon free” is a powerful one. Reducing emissions is a crucial part of combating global warming, and while production of renewable energies such as solar and wind are growing rapidly, they aren’t yet produced in sufficient quantities to meet demand. Nuclear power generation itself doesn’t produce greenhouse gases, but what is often overlooked are the emissions over the entire lifecycle of a reactor and all its inputs. Nuclear facilities emit greenhouse gases during the initial construction, when uranium ore is mined and processed, and waste treated and stored. Finally, a reactor must be decommissioned at the end of its life and mines reclaimed. All of these activities can result in the emission of greenhouse gases, and thus contribute to global warming. A 2008 study published in Energy Policy, “Valuing the Greenhouse Gas Emissions from Nuclear Power: A Critical Survey,” seeks to answer this question. 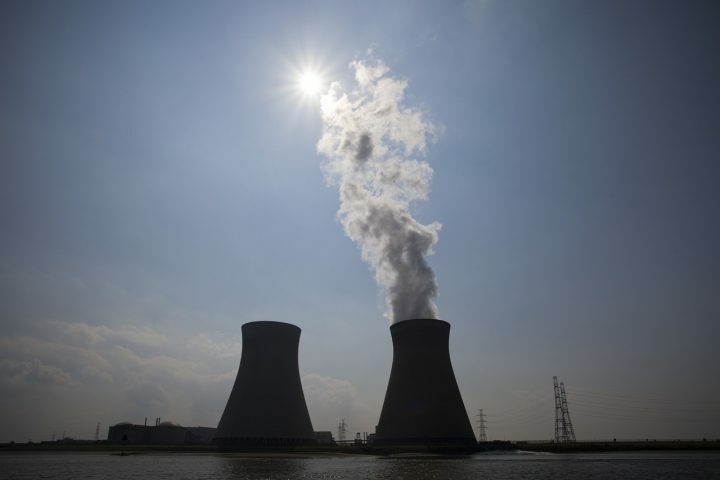 The author, Benjamin K. Sovacool, then at the Lee Kuan Yew School of Public Policy at the National University of Singapore, analyzed more than 100 prior studies to arrive at a best estimate of the emissions of nuclear power plants. The paper has subsequently been cited hundreds of times and remains a touchstone in the field. The mean value of carbon dioxide emissions over the lifetime of a nuclear reactor is 66 grams per kilowatt-hour of electricity. Nuclear power emits more greenhouse gases per kilowatt hour than all renewables, including biomass (up to 41 grams per kilowatt hour), hydroelectric and solar (up to 13 grams per kilowatt hour), and wind (up to 10 grams per kilowatt hour). Reactors produce significantly less carbon dioxide than all fossil fuels. The cleanest is natural gas (443 grams per kilowatt hour), while the most carbon dioxide is produced by coal (up to 1,050 grams per kilowatt hour). The author concludes by stating that studies of greenhouse-gas emissions associated with nuclear power need to be more accurate, accountable, and transparent, and urges the development of a formal standard for reporting emissions. Citation: Sovacool, Benjamin K. "Valuing the Greenhouse Gas Emissions from Nuclear Power: A Critical Survey", Energy Policy , August 2008, Vol. 36, Issue: 8, 2940-2953.